I noticed that the Science Helsinki Crew has put up another podcast up at their site. Actually I haven’t listened to it yet, but I’m about to do that right now. And the tracklist seems so promising that I’ve gotta post the mix here right away… Check out this Podcast including lots of 90′s classics by St. Laurent. Trisector aka Otto Hassinen (Sciencehki) was inspired by music from an early age, and he has been around in the Finnish DnB scene for quite some time. I remember listening to his tracks already around the year 2000 on the Finnish radiostation Radiomafia by DJ Dizzy – I’ve been a big fan for a long time and I’ve been playing his tracks a lot in my DJ sets too. Trisector tracks are some real dancefloor mayhems, I’m telling ya! Lately Trisector has really succeeded in making his sound known around the world with DJ support from names like Blu Mar Ten, ASC, Muffler, Physics, Resound, London Elektricity, Survival, S.P.Y, Kasra, Loxy, Mutated Forms and Chris SU among others. He has releases under Med School, Botchit, Destructive and Urban Graffiti, to mention a few. So we’re talking about a big junglist/breakbeat head here! Over 1000 Trisector facebook -fans can’t be wrong. inZtance a.k.a. 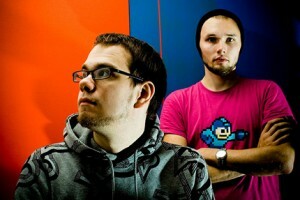 Villem Hion is a drum & bass artist hailing from Estonia. He has recent releases on Med School and Hustle audio, and he has earlier releases on Basswerk Files, Red Dragon Recordings, Nineteen 95 Recordings to mention a few. Also, In December 2007 inZtance won the “Best Drum & Bass Producer in Estonia” award. You should check out more of his tracks at inZtance soundcloud. Awesome tunes man! - http://www.facebook.com/trisector – Trisector’s Facebook, join in and like now! 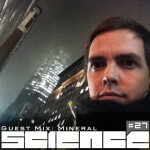 - http://www.sciencehki.net – Science site with lots of excellent podcasts + things related to d’n'b!